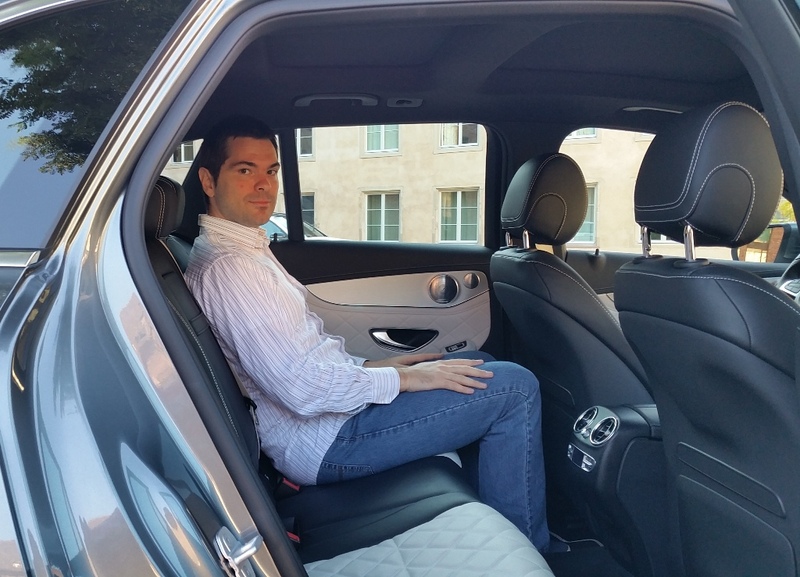 2015 Mercedes-Benz GLC review. Hail to the king! Home Mercedes Benz GLC-Class 2015 Mercedes-Benz GLC review. Hail to the king! 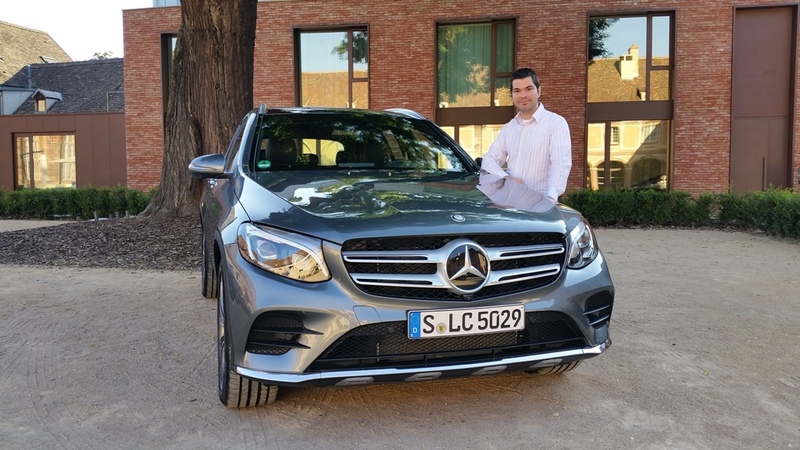 First Mercedes-Benz GLC review is here! 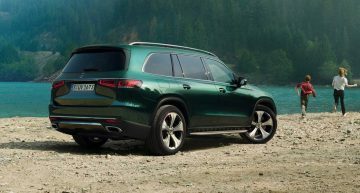 Mercedes’ all-new mid-size SUV is shooting for top-honors, claiming the class’ crown from the second-generation BMW X3 with the ideal blend of refinement, sportiness and sheer quality. GLK is dead, long live the GLC! Apart from the same market place, the two models share virtually no components. Not even their design cues! Gone is the GLK’s squareness and upright stance. The GLC is a entirely different player. 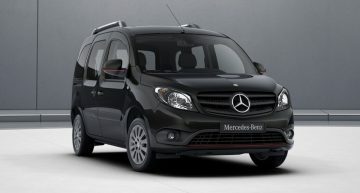 A debonair SUV that trades the visual ruggedness of its predecessor for a smart-casual outfit, cast in pure sportiness. 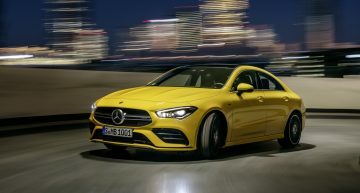 The new model features sharper, stronger creases which lead to dynamic proportions which sit between those of the existing C-Class T-Modell and the bigger GLE. 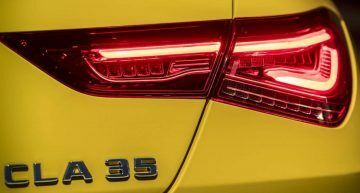 Aerodynamics also played an important part in this abrupt switch, with the GLC incidentally sporting the lowest drag coefficient in its segment, 0,31 cd. As expected, the fancy new suit hides none other than the MRA platform, the same architecture which debuted alongside the latest crop of C-Class family models, hence the letter “C” in the GLC’s fresh name. 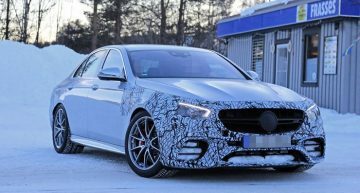 At 2.873mm, the wheelbase is 33mm-longer compared to its sedan and T-Modell counterparts, though, while the tracks are also wider by 31mm at the front (1.621mm) and 47mm (1.617mm) at the rear. The new Mercedes-Benz GLC is also larger than its predecessor. All vital dimensions are now more generous for an added touch of practicality and roominess. In plain math, the GLC is 120mm longer, 50mm wider and 9 mm higher than the GLK at 4656mm, 1890mm and 1639mm respectively. Fortunately, all the added bulk did not come at the expense of agility with the new GLC weighting 80 kg less than the model it replaces. In fact, the bodyshell is also around 50 kg lighter than before, despite the more compact exterior of the GLK. 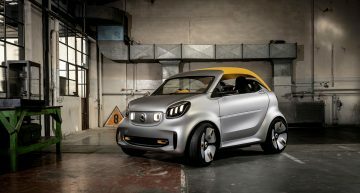 It all comes down to wide-spread use of aluminium for the suspension, bonnet, roof, door hinges and front wings, on top of the all-new hot-formed high-strength steel body structure. Mercedes’ new GLC is also longer (1mm), wider (9mm) and slightly lower (21mm) than its closest rival, the X3, which still holds a weight advantage of 40 kg in xDrive20d guise, compared to the GLC’s range sweet-spot, the GLC 250 d (1.770 kg). As soon as you step-in into the cabin you realize what all the aforementioned figures mean. 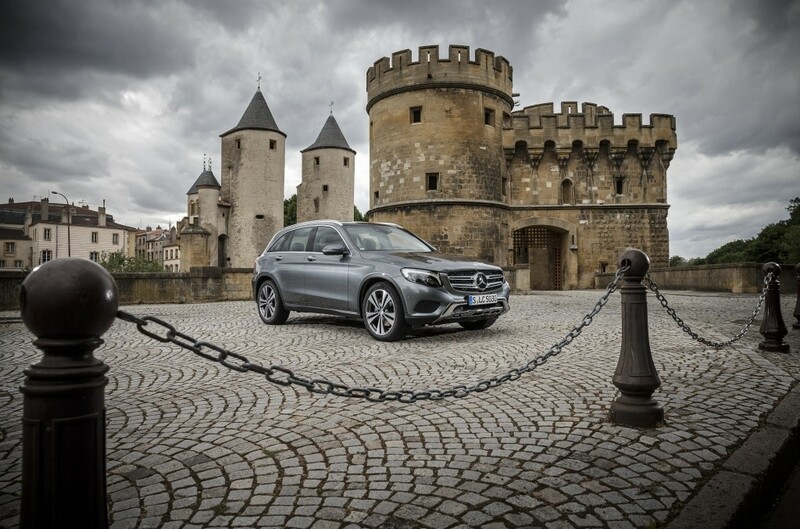 The GLC is one true family car thanks to its ample cabin space and 550-litre loading capacity. Legroom has been increased by 57mm at the back at 948mm while elbow room and shoulder room are also more generous at 1474mm (plus 34mm) and 1436mm (plus 28mm) respectively. The rear seat is one comfortable affair with generous headroom and well-judged cushion size. It can be folded in a useful 40/20/40 format, all at the touch of a button – actually three buttons, one placed at the outer left side of the trunk and the other two at each extremity of the bench. By comparison, the GLK offered 80 litres less boot space, while the X3 doesn’t trump the GLC either with essentially the same 550 litre on offer. Maximum loading capacity also hits the benchmark value of 1600 litre and the rear suspension can be lowered by 40mm (for models with Air Body Control) for convenient loading and unloading. That being said, the narrow central part of the rear seat is rather hard and uncomfortable and sees legroom partly compromised by the central tunnel. 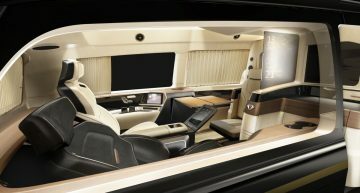 The general ambiance of the interior is cut from a class above. 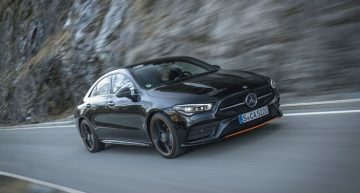 The latest C-Class has always impressed us with its fine blend of rich textures and serene colour combos and the GLC couldn’t disappoint considering it shares most of the visible elements, including the dashboard, all the controls, the steering wheel and even the free-standing infotainment screen/rotary control dial with its smaller sibling. Perceived quality is again at its best, then, even more than anything the X3 or Q5 have on offer today. 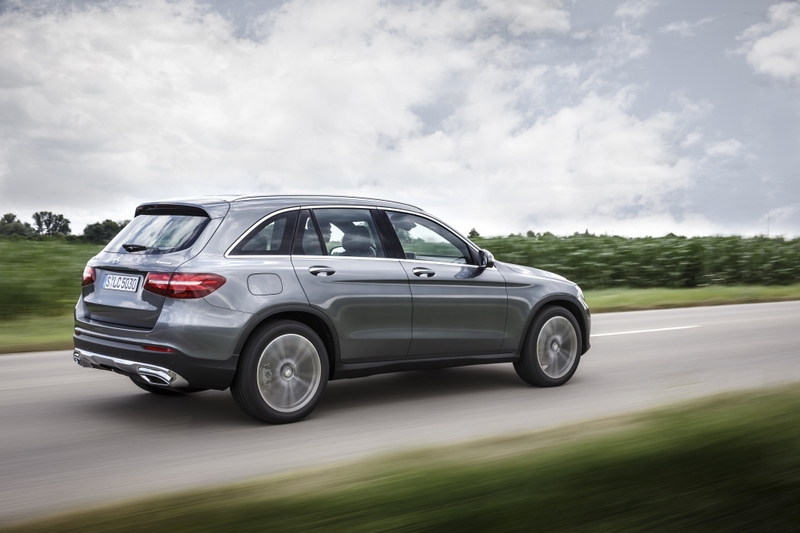 Ergonomics-wise, the GLC is as sound as the C-Class. A 7-inch monitor is offered as standard along with the Audio 20 system. Navigation comes extra as part of the Garmin package while the fully-fledged professional Command Online system sporting a bigger 8,4-inch display and internet connection is also included on the options list. 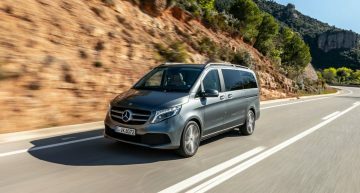 The driving position is 100% SUV, with seats mounted noticeably higher than in the equivalent C-Class and even the BMW X3, all in the name of good all-round visibility and the sensation of safety that only a tall car can offer. 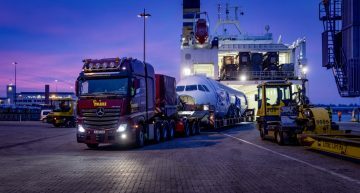 The comfort advancements made by the latest C-Class and its state of the art four-link front and five-link rear suspension set-up are carried over to the GLC along with the acclaimed Agility Control adaptive damping function offered by the standard Dynamic Select system which allows the driver to personalize the car’s character (suspension, engine, gearbox, steering) according to his varying state of mind, in Eco, Comfort, Sport, Sport Plus and Individual modes. 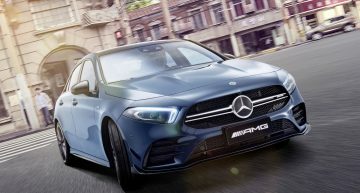 Accompanying the standard comfort suspension is an AMG sports suspension with firmer spring rates. The GLC also gets optional Air Body Control suspension, a class first, featuring air springs with revolutionary three-chamber design and continuosly adjustable Adaptive Damping System Plus which can alter the spring rates in less than 60 milliseconds. 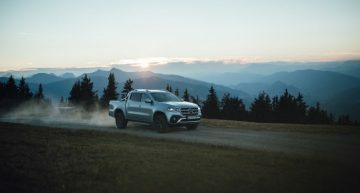 Combined with the Off-Road Engineering package, all GLCs with Air Body Control also get Downhill Speed Regulation (DSR), adjustable ride height and a significant ground clearance boost to 227mm (in maximum Rocking Assist mode), 50mm higher from the standard 181 mm, as well as five additional driving modes activated by a dedicated button, placed at the top of the center arm-rest: Slippery, Trailer, Off-road, Incline and Rocking Assist. 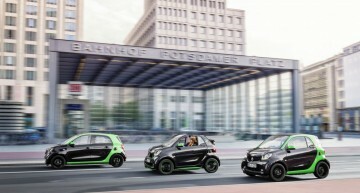 In Sport Plus mode, the suspension is automatically lowered by 15mm, while in Offroad and Incline, it is raised by 15 mm. 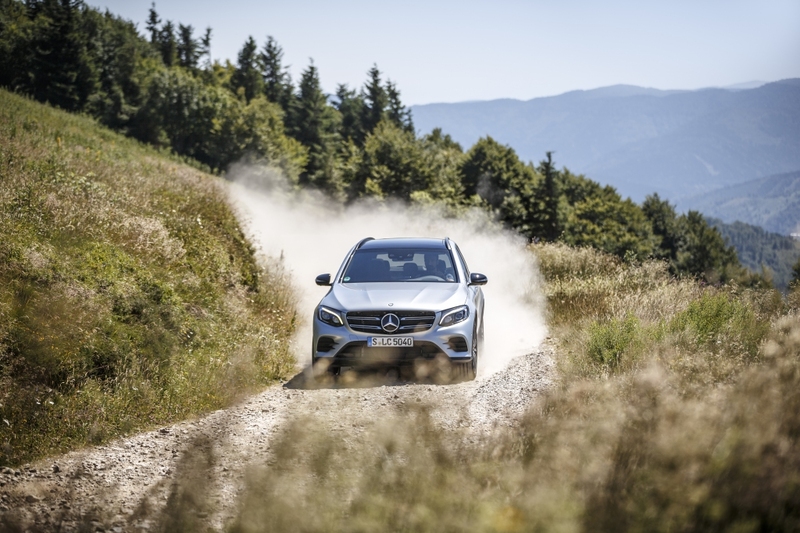 In therms of off-road capability, the GLC offers more than most of its customers will ever seek, outpacing most of its rivals, bar the Land Rover Discovery, outside the paved roads. The spec sheet says it all: approach and departure angles of 30.8deg and 24.8deg, a breakover angle of 19.7deg and tipping angle of 35deg. 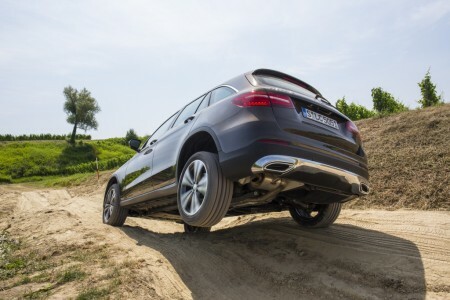 In reality, everything works just as expected, the GLC going where no X3 can go thanks to its generous ride height and air suspension, just as proved during our test runs on a special track created by Mercedes’ specialist at the very core of a lovely French vineyard with steep inclines and sandy terrain. Diesel seems to be all the rage right now. Engine-wise, Mercedes-Benz will offer the GLC in two ‘d’ variants and only one petrol. 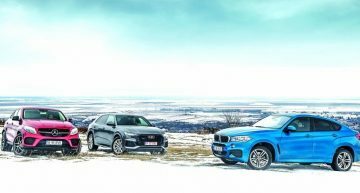 Both diesels are powered by the familiar OM651-designated turbocharged 2.1-litre four-cylinder unit, available in two states of tune: 170 HP for the GLC 220 d and 204 HP for the GLC 250 d. During the press launch event we have driven the latter plus the GLC 250 petrol variant running a turbocharged 2.0-litre four-cylinder engine good for 210 HP. Manual gearbox lovers, look away! The smart-looking GLC caters for a different breed of drivers. 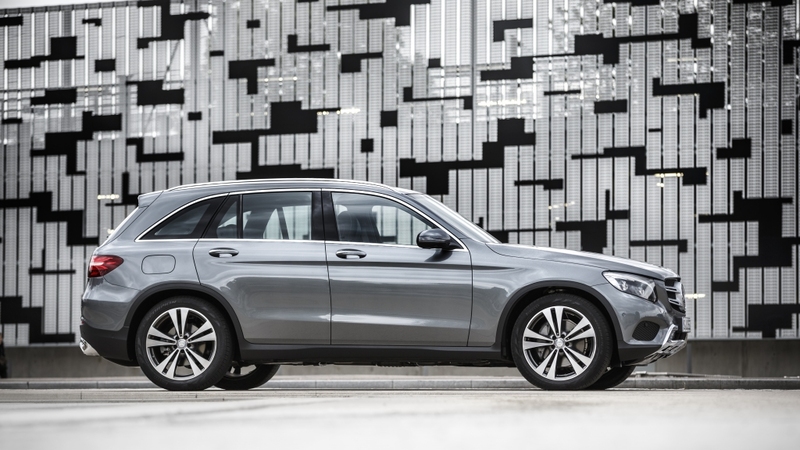 In another class-first, all models (except the GLC 350 e hybrid) are fitted as standard with Mercedes’ 12 kilograms lighter 9-speed automatic, the state of the art 9G-Tronic, complete with magnesium housing, sailing, stop-start and brake energy recuperation. 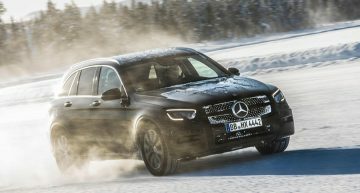 Four-wheel drive is also the only way forward if you long for a brand-new GLC 250, GLC 220 d or GLC 250 d, no matter which version you’ll choose, they all come with a rear-biased 4Matic permanent 4×4 system sending 45% of the power to the front and 55% to the rear via a planetary differential, with constant varying of drive to each of the two axles in close relation to the road conditions. We’ve spent most of our time in the company of what is arguably the most accomplished variant, the GLC 250 d, good for 204 HP at 3800rpm and a healthy 500Nm torque from as low as 1600rpm. 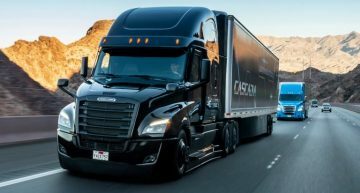 All this potential can only translate to the sheer flexibility and raw ability that is expected from a modern 4-cylinder diesel, giving way in therms of sheer pace only to bigger 6-cylinder engines. The GLC 250 d is not only punchy but also impressively hushed with little to almost no noise intrusions making their way into the cabin. 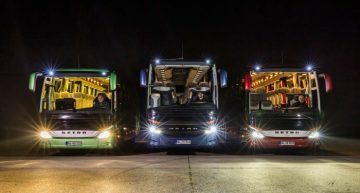 Efficiency is also at its best, the consumption figures that we’ve touched in real traffic, 5,5-6,5 litres that is, being closer than we’d thought to the official rating of 5,0 litre per 100 km. A big thanking note must go to the extremely refined standard nine-speed automatic gearbox which complements the GLC’s rather sporty nature with great in-gear acceleration and smooth, well-judged shifts, no matter which driving mode you’re on. It does shine the most in Sport and Comfort, especially at motorway speeds where its ninth gear ratio of 0.60:1 and 3.07:1 final drive do wonders for the GLC’s cruising ability. Leave it in Sport Plus and it does tend to become slightly nervous when time to downchange comes. Now comes the big question. Is the new GLC as agile as its seductive design tends to imply, even more so when compared to its arch-nemesis, the X3? The answer is unequivocal: yes! Be it a calm Monday school-drive or a crazy, against the clock run on winding mountain slopes, nothing seems to make the GLC uncomfortable about its sheer dynamic abilities. Traction is paragon, always in the ideal quantities deemed to let you use all the low-end torque on tap and slide out of corners with aplomb. The GLC is reassuringly neutral, giving you the confidence to push further and further before the inevitable understeer kicks in, a feeling only amplified by the communicative, direct nature of the steering, a simply delicious, surprising trait – this against its electro-mechanical setup. On a scale from boring to sporty, the GLC definitely sits on the more engaging, fun side of the sheer driving pleasure. Even more impressive is the GLC’s ability to blend into this effective dynamic-oriented mix just the right amount of comfort. The air suspension fitted to our test car did wonders for the ride. Always compliant and marvelously silent, it simply manages to create the unexpected bridge between high-levels of body control and pure suppleness. 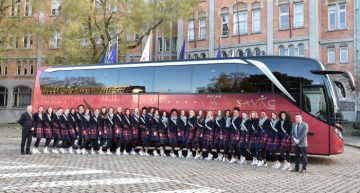 Bravo, Mercedes! 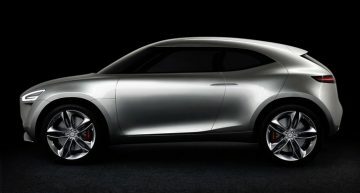 What about the petrol GLC 250? 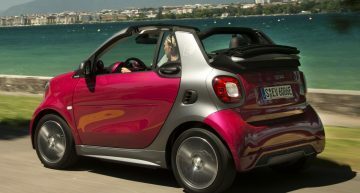 It is equally engaging as its diesel counterpart with the added bonus of a larger rev-band and higher set redline. 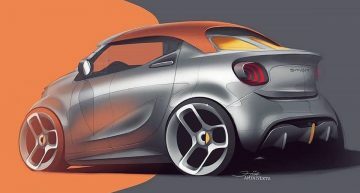 Something that will definitely please fans of high-revving well-oiled sports cars. 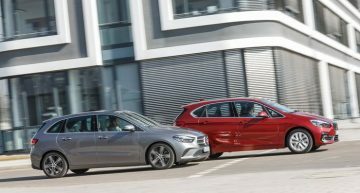 The consumption is not as sweet as the diesel’s, though, more than doubling the GLC 250 d’s 5,0 l/100 km mixed rating in real traffic. The GLC range will also be complemented later this year with the GLC 350 e, a petrol-electric-powered plug-in hybrid variant not available for testing during our Strasbourg hosted driving session. 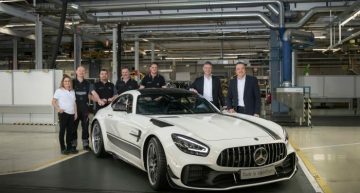 The cleanest GLC mattes a 116 HP electric motor housed withing the front section of the 7-speed 7G-Tronic Plus gearbox to the 2.0-litre turbo lifted from its GLC 250 counterpart, for a total system output estimated at 320 HP and 560 Nm. 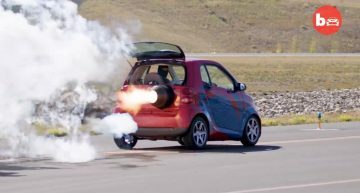 All this with a minuscule 2,6 litre per 100 km fuel consumption and CO2 emission rated at a mere 60 grams. 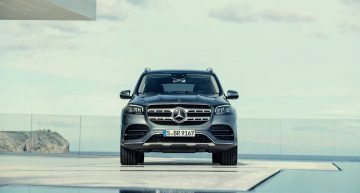 A wonderfully engaging and refined SUV, the all-new Mercedes-Benz GLC puts on its well deserved crown, bettering anything its rivals can offer today. Nothing, not even the mighty X3, can touch its sheer blend of style, quality, handling, ride, performance and economy. All with a welcome touch of practicality and off-road talents. Thank you for the test. How I can get bulletins/mails periodically? we can put your email on our newsletter list if you agree.